When you circumnavigate the planet under your own steam — walking, cycling, skiing, and rowing across two oceans, through the trackless wastes of Siberia, and over mile after mile of Asia, Europe, and North America — you’re bound to gel into a few tight spots. “We first heard about Hurricane Vince over the satellite phone,” says Colin Angus, 35. Four weeks earlier, he and his fianance, Julie Wafaei, 32, had launched a seaworthy rowboat from Lisbon, Portugal, bound for Miami. They were several hundred miles southwest of Spain when they noticed that all boats, except for theirs, were fleeing the area. “A hurricane produces such low pressure that it creates a bulge in the ocean,” Angus says, “and [its winds] create currents running toward it.” The storm drew them to its center like a black hole would a star. With 7 5-mile-an-hour winds and 25-foot swells fast approaching, Angus and Wafaei tied down all they had, sealed themselves inside their craft’s “double coffin” of a cabin, and waited for the inevitable. The goal of circumnavigation is hardly new, but no explorer — not yesterday’s Magellan, not today’s Steve Fossett — had ever done it by human power alone, without the aid of diesel or wind or sun. 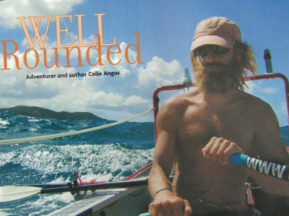 To Angus, a man who spent five years sailing the South Pacific and made a source-to-sea descent of both the Yenisey River (which flows from Mongolia to the Arctic Ocean) and the Amazon, this was a glaring gap in the annals of adventure. 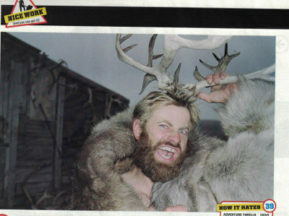 So he took the idea to Wafaei, an avid marathoner, backcountry skier, and rower. At the time, she was training for a partial crossing of the Atlantic and was, admittedly, nervous about traveling with Angus. “When you’re out in the field,” she says, “it can be stressful on a relationship. It puts couples counseling into perspective.” Still, in the end she couldn’t resist the chance to see the world in the day-by-day continuum that only footsteps, oar strokes, and the rotations of a bike crank can afford. The journey began in their hometown of Vancouver, Canada, in June 2004. Angus and Wafaei loaded up two Norco Bigfoot bikes and started pedaling a thousand miles north to the remote outpost of Hyder, Alaska. At that point, Wafaei returned to Vancouver to run the expedition’s research and logistics (arranging support vehicles, supply drops, equipment delivery, etc.) while Angus continued on with Tim Harvey; 28, a friend and standin partner similarly driven to see the world one inch at a lime. The two men canoed down the Yukon River and then rowed across the Bering Sea to Russia in an 18-foot mastless sailboat purchased on eBay for $2,400. On the shores of Siberia they started hiking and biking through marshy terrain and across half-frozen rivers. The plan was to continue for three months and 2,175 miles until they reached a road, But in the wilderness, plans can go bad. Outside the town of Anadyr, in northeastern Siberia, Angus came down with a double kidney infection, a bladder infection, and a urethral stricture. Wafaei immediately mobilized a medevac flight to Canada for his emergency surgery and oversaw his recovery. Eight weeks later, in February 2005, he was back in Siberia with Harvey in the dead of winter, biking and skiing toward the coldest inhabited place on Earth, Oymyakon, Russia, where temperatures fall as low as — 96°F. In mid-March, Angus and Harvey hit the outermost Siberian roads and decided to part ways. Alone, Angus cycled 6,200 miles to Moscow, where Wataei rejoined him, then together they pedaled 3,400 miles to Lisbon, Portugal. There on the shores of the Atlantic, the two climbed into a 24-foot plywood rowboat with an enclosed sleeping area and launched themselves into the worst hurricane season on record. For three and a half days, the pair sat locked in the 22-square-foot cabin of their boat, getting pounded by Hurricane Vince. “We’d hear the roar of a wave as it approached,” Wafaei says. “It sounded like a freight train.” By the time they emerged, they’d been blown so far off course that Miami was no longer an option. They made for Costa Rica instead. In February 2006 they hit the Caribbean harbor of Puerto Limón, hopped on a pair of bikes they’d had delivered by friends, and began cycling 5.160 miles back to Vancouver on the Pan American Highway, crossing hardpan deserts and one mountain range after another. 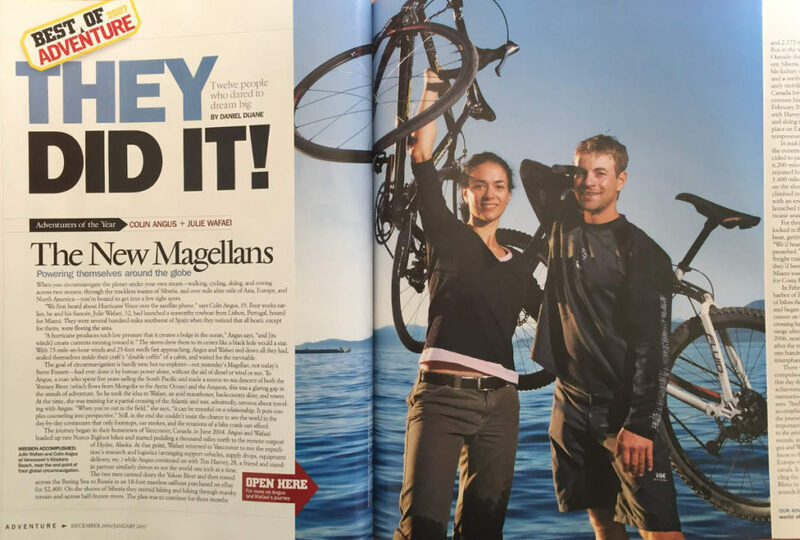 Finally, on May 20, 2006, nearly two years and 26,000 miles after the trip began, the pair, joined by some one hundred friends and admirers, cycled triumphantly into downcown Vancouver. There was a party, of course, and the compulsory champagne toasts, but even to this day the pair is modest about their achievement. “It’s nice to have all the memories and the photographs,” Angus says. “And it’s nice to have the sense of accomplishment.” But other than that, it’s the journey, not the destination, that’s important to these two. With the book off to the printer, a documentary making the rounds, and a wedding in the works, Angus and Wafaei have now turned their focus to the next adventure: rowing across Europe via little-used waterways and canals. It may not be as ambitious as circling the globe, but drifting from the Rhine to the Danube to the River Elbe sounds like a lot more fun. OUR ADVENTURERS OF THE YEAR were nominated by a group of 30 explorers, scientists, journalists, and luminaries In the world of adventure. 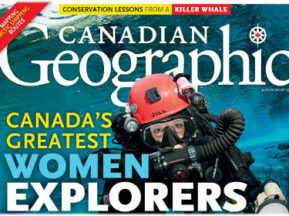 Go to www.ngaoVenture.com to learn more about our advisers and their upcoming expeditions.